The Global Working Group (GWG), at their annual meetings, have decided to extend financial support to Mobeds, who having catered to the spiritual needs of the community, unfortunately in their old age continue to subsist in economically challenged circumstances. 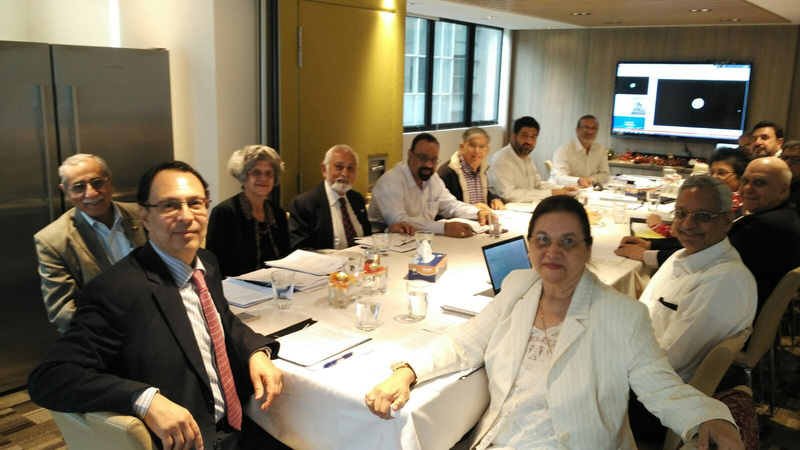 The Zoroastrian Charity Funds of Hong Kong, Canton & Macao have taken the initiative and successfully managed to convince a foreign based corporate to commit financial support for this proposal. Economically challenged Mobed Couples and Mobeds who are single or widowed, 60 years and over whose total income is less than Rs.50,000 per month. Economically challenged widows of Mobeds, 60 years and over whose total income is less than Rs. 25,000 per month. The WZO Trust Funds have been requested to compile a Pan India list of Mobeds who meet the eligibility criteria mentioned above and are interested in receiving support, which will be disbursed on a quarterly basis. Interested applicants will need to make available two passport size photographs, and should it be thought necessary, to make available bank pass books and other relevant documents for verification. Just Informing everyone that the 11th WZC speakers & programme has been uploaded on website. There will be new & innovative subjects & speakers. Early bird closes on 21 February 2018. Price for the normal registration will be $575 from 22 February 2018 (early bird is $499). Please do inform your family and friends also. Thanks and hope to see you there! !